Ridgefield National Wildlife Refuge has been blessed over this past year with rare bird-migrants that have caused quite a stir in the birding community. Of course any stir in the birding community initiated at the Ridgefield NWR results in many visitors coming to the refuge in search of these rarities. 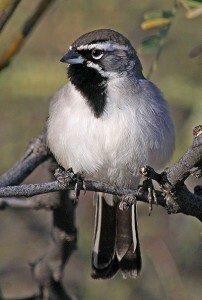 Four of these rare birds were seen on the River “S” Unit of the refuge and three were seen at the Carty Unit. These seven birds that are mentioned below are even rarer than rare at Ridgefield NWR according to the Ridgefield National Wildlife Refuge Wildlife Checklist. They are either not listed at all or are listed as accidental. To be clear, I should mention that many of these birds are not necessarily rare to the birding community at large, but are rare to this particular area whether it be the refuge, county, or state. Also, it should be noted that all of these birds were seen in the refuge areas that are accessible to the general public. Two of these seven birds were seen last winter. A Barnacle Goose was sighted for several days last February on Rest Lake. There is still some discussion as to whether this goose was a released goose or not although there are some strong indicators that show that it was a wild goose. 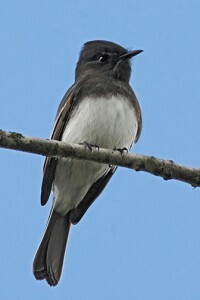 Also, last winter a Black Phoebe (or possibly two) was seen around markers 5-8. These phoebe(s), with one or two more who came and stayed, built two nests (one nest was used twice) and hatched eight or more young (These Black Phoebe nests are Washington records). There are still sightings of these Black Phoebes on the refuge, although most of these sightings come from Bachelor Island, the location of the nests. In the spring there were three more birds seen, all at the Carty Unit, none of which are listed in the refuge checklist. These were the Northern Saw-whet Owl, the Gray Flycatcher and the Hermit Warbler. Each of these birds was seen several times. Two more birds listed as accidental were seen this fall. One was the American Golden Plover that was seen on the Kiwa Trail a couple of times. The other one, which I mentioned in my last Ramblings, was the Vermilion Flycatcher. The Vermilion Flycatcher was a young female that stayed around markers 10 & 11 for four weeks beginning the middle of October. She stayed long enough to give the many people who came to the refuge especially to see this bird plenty of time to catch a view of this real rarity to the Northwest. One other bird, not recorded on the refuge checklist, was seen for a couple of days this past summer on the refuge’s Bachelor Island, a non-public area. This bird was the Black-throated Sparrow—a bird that is commonly associated with the deserts of the southwest. Even though I have gone to the refuge and travelled around the auto tour route hundreds of times, I still get a tinge of excitement before I start around again wondering what new, rare or unusual bird I will see this time. If you haven’t felt that excitement lately, it’s time that you come back to the refuge and see what you can see. Some of the interesting, unusual, and rare birds that have been seen at the refuge this past six weeks are: Greater White-fronted Goose, Snow Goose, Eurasian Wigeon, Canvasback, Common Goldeneye, Horned Grebe, White-tailed Kite, Red-shouldered Hawk, Sharp-shinned Hawk, Cooper’s Hawk, Merlin, Peregrine Falcon, Dunlin, Mew Gull, Barn Owl, Short-eared Owl, Pileated Woodpecker, Vermilion Flycatcher, Black Phoebe, & Townsend’s Warbler.